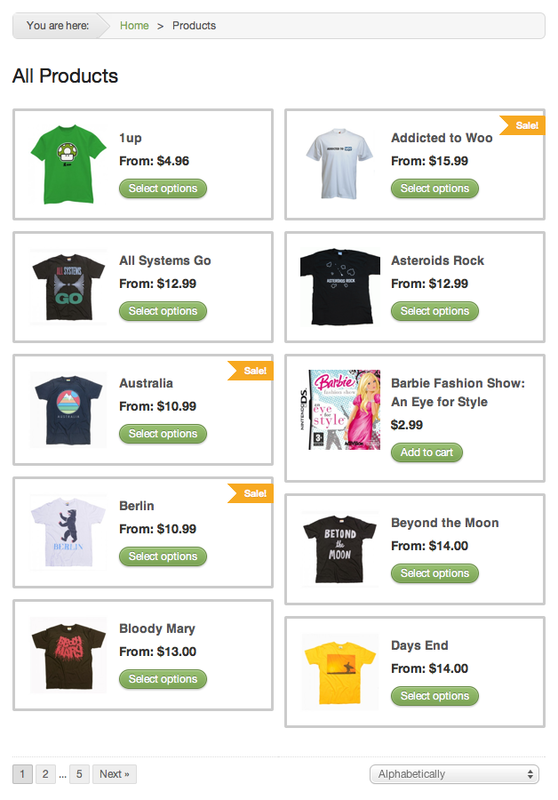 As you’d expect, Coquette makes full use of all of WooCommerce features. We’ve painstakingly married theme and plugin to provide a seamless front-end experience. Every single one of WooCommerce widgets has been lovingly styled to match the beautiful design, as has each key component of the plugin such as the product categories, product descriptions, cart, checkout and user account sections. Read all about the benefits of WooCommerce here. Coquette is supplied with two bespoke colour schemes. ‘Mithril’ is a predominantly grey theme while ‘Taupe’ utilises organic greens and browns for a more down-to-earth aesthetic. A custom home page featured slider to showcase your products with style, all powered by jQuery. 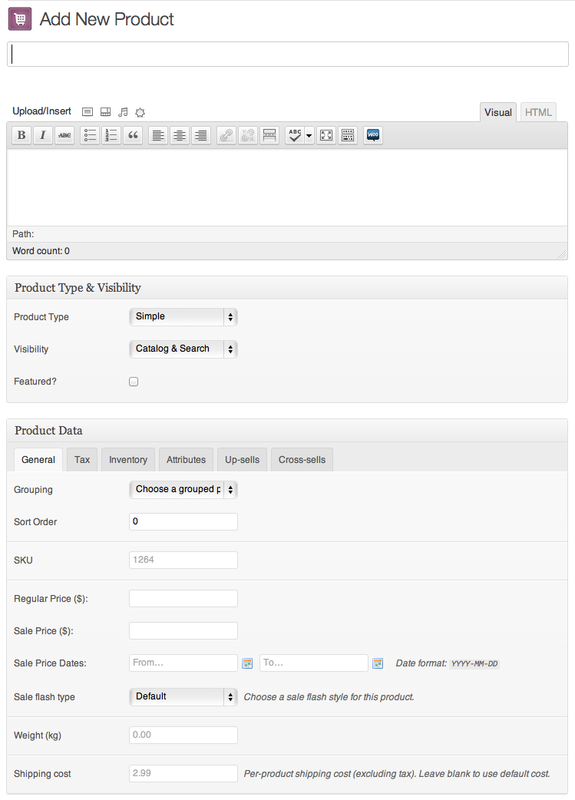 Optional slider pagination gives your visitors easy overview. 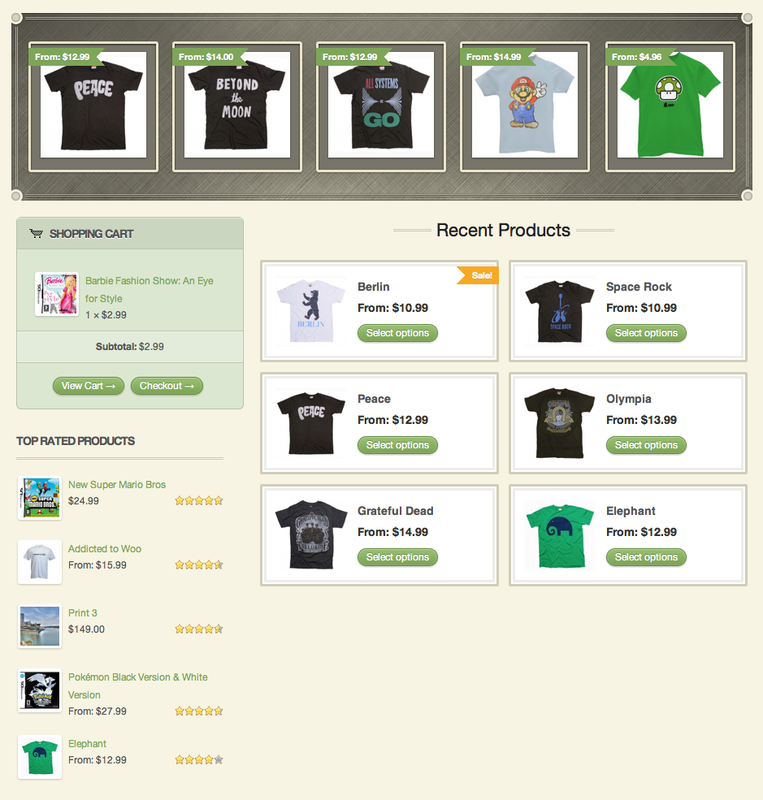 The homepage features a stylish jQuery slider and a custom layout including the display of featured and recent products.